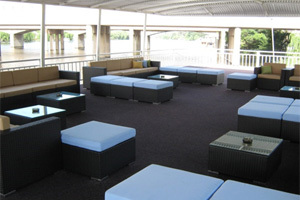 If you are looking for fun and unique romantic weekend getaway destinations in and around Gauteng, then the Liquid Lounge has the perfect offering for you. 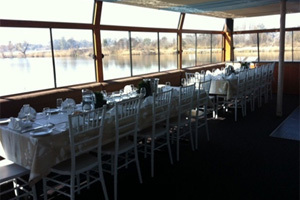 Wake up with the sounds of the Vaal River at your feet, and the beauty of nature at your doorstep. 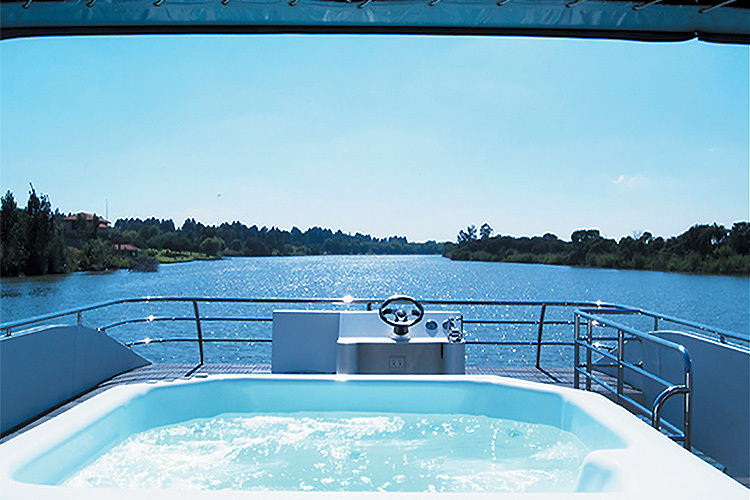 The Prive’ and Fluxman Houseboats are two modern and luxurious houseboats, permanently moored on the banks of the Vaal River. Although these houseboats do not cruise, they offer guests the opportunity to experience the river and its beautiful surrounds first hand. 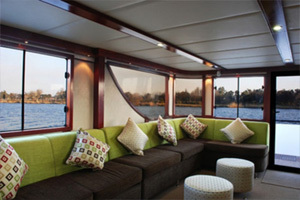 Our houseboats offer a unique and memorable experience for its guests, and is the ideal romantic weekend getaway in Gauteng. If you are seeking romantic destinations in Gauteng to celebrate an anniversary, birthday, Valentine’s weekend or just a romantic breakaway, contact Liquid Lounge today. 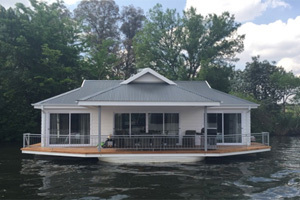 We will provide all the information you need about our houseboat accommodation. The Prive’ and Fluxman Houseboats are modern and luxurious, furnished with everything to ensure a comfortable stay. 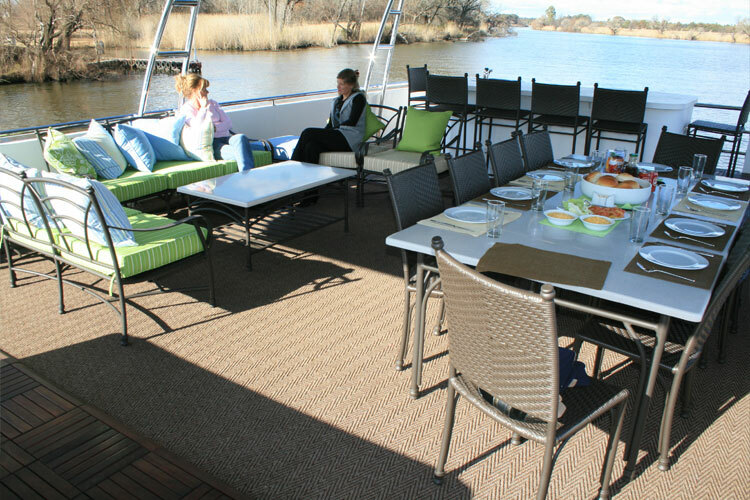 The cabins are spacious, and the houseboat features and open plan kitchen and lounge area (with a television and the full DSTV bouquet), making it the ideal self-catering accommodation establishment in the Vaal Triangle. Guests will have a large outside deck with braai facilities and a dining table to utilise for meals and relaxation. Our secluded houseboats offer the ideal destination for a romantic weekend getaway in the Gauteng region, and is the perfect location for some quality time with a loved-one. 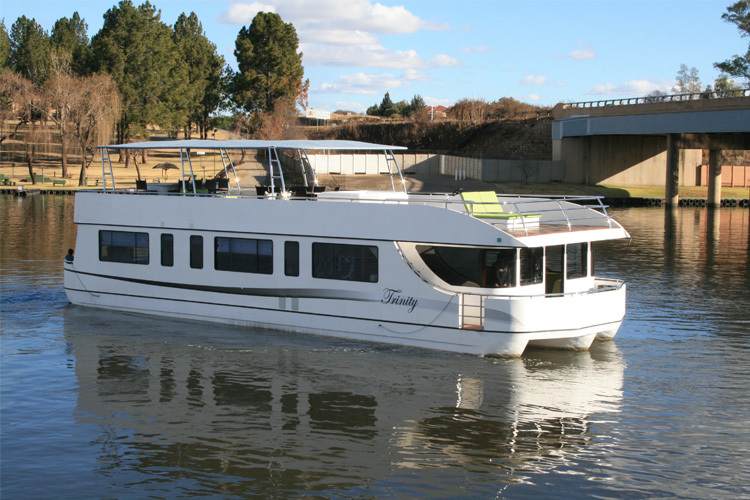 The houseboats are permanently moored at the Emerald Marina, giving guests direct access to all the fun and entertainment activities at the Emerald Resort and Casino. Enjoy a game of Miniature Golf or Ten Pin Bowling, have some water fun in the Aquadome, try your luck at the popular Casino, or dine at one of the many restaurants at the Establishment. You can also book a relaxing massage or other spa treatment. Browse through all the offerings at Emerald Resort and Casino for more information. Spend some much needed quality with your loved one, and book a weekend away in a beautiful natural area, that creates the perfect setting for a relaxed weekend away. Our luxury houseboats combined with the tranquillity of the river and the beautiful scenery makes for the ideal romantic getaway destination. Book your romantic weekend getaway in Gauteng with Liquid Lounge today! We guarantee a unique and memorable weekend with your loved-one. Contact us for more information and to book your stay on a beautiful houseboat.